Whatever the size and shape of your kitchen, IKEA cabinets have it covered, though unless you are a kitchen design expert it can be tricky to seamlessly incorporate them into your space. At IKD we created five personalized kitchens using IKEA cabinets that meet all the requirements of a modern home. White kitchens are thoroughly modern, easy on the eye and easy to keep clean. Our kitchens are designed with practicality and ease-of-use in mind. As always, we considered alignment of oven, sink and work surfaces, plus the ideal configuration for every space. IKD customer Beena wanted a light, airy space with lots of storage. We choose to combine floor-to-ceiling cabinets with floating shelves. The cabinets increased the storage space and gave the room a sense of height, while the shelves kept the kitchen airy. MAXIMERA drawers were also included for extra storage space. This internal accessories can be pulled out all the way so you can access what’s inside with ease. This IKEA kitchen has a lot going on, though its simple design give a relaxed look, making it ideal. A simple style for a smaller space. 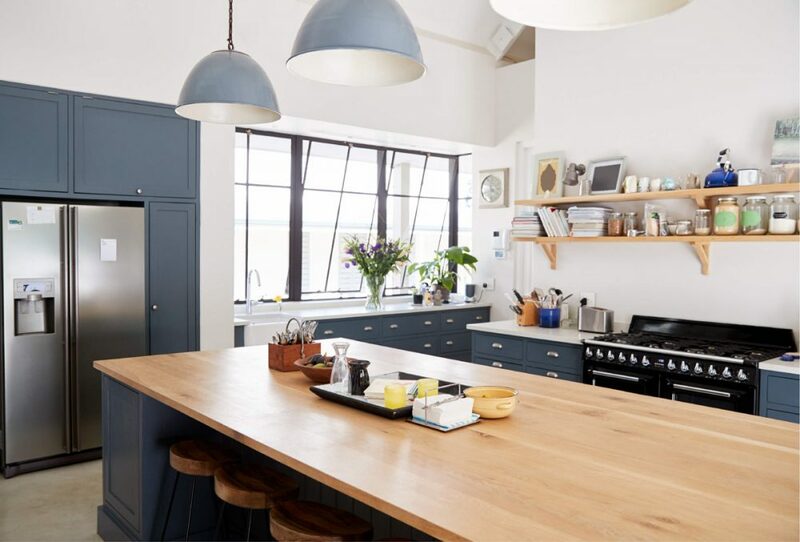 In this configuration the homely, Shaker-style door by SHM has been teamed with a wood-finish floor and wooden kitchen accessories for a warm yet practical feel. This is one look that is easy to achieve, however they can also be given a sharp contrast with more neutral or glossier flooring. 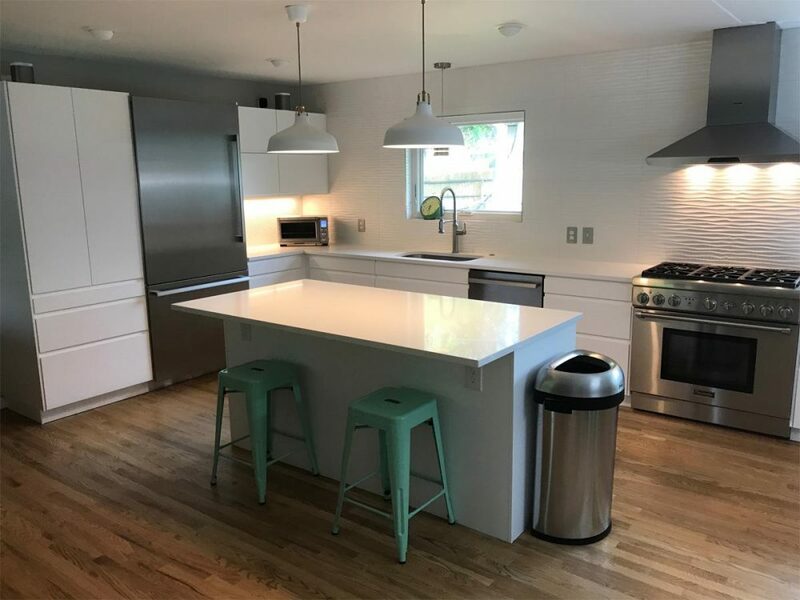 The addition of a white KARLBY countertop adds continuity to the white color palette and produces a more integrated look. BAGGANAS handles add cool simplicity to the design and to its laid-back style. This IKEA kitchen shows you can pack a lot of ‘wow’ factor into a small kitchen. This IKEA kitchen combines the hi-tech appeal of dark, glossy finishes with the soft off-white of GRIMSLOV cabinet doors. Chunky BLANKETT handles help lend a softness to the overall look (they’re also comfy on the hands!). The metal fridge is integrated into the cabinets and it echoes the dark, glossy breakfast bar/work surface, which contrast with stark white tiles on the backsplash. This monotone effect gives a clean, modern look to a small space. This kitchen shows the shiny, streamlined appeal that is created by MAXIMERA drawers and RINGHULT doors in white, high gloss finish. A minimalist and modern effect is enhanced with the use of BLANKETT handles, effortlessly incorporated into the cabinets and drawers. Here, a gorgeous, grainy effect is created with blue-grey mosaic tiles, though choose your preferred color scheme to set off the high gloss, white RINGHULT doors. The minimal integration of the sink into the island enhances the streamlined, modern look. The ultimate in simplicity of design, this kitchen makes use of VOXTORP white doors and MAXIMERA drawers to create a space that is welcoming, yet clean and bright. Seamless, handle-free and glossy, the IKEA cabinets present fine lines that contrast well with the pared-down breakfast bar. Even the seating is hidden beneath the overhanging work/dining surface. The finish of a white kitchen can mean the difference between a homely style and a more stark, modern appeal. Matte finishes are warmer and less hi-tech. High gloss white finishes are bright and striking as they reflect light and create a greater sense of space. Try practical, industrial-look light fittings like IKEA’s white RANARP pendant lights over breakfast bars and kitchen islands. Hung low, they brighten the space and add to the elegant, yet functional feel of a white kitchen. If you have limited room, choosing white is a great option as it creates a sense of space. Light bounces off white surfaces and cupboards can be stacked high without seeming cramped or oppressive. White is not just one color. Try mixing off-white with stark white, gloss with matte to create different shades in your white kitchen. Decide whether or not to use handles to complete the look of your kitchen. We use metal handles, (for example, the comfy feel of chunky BLANKETT handles), as they incorporate a clean, practical feel. You can also create a streamlined effect with no handles at all. If you’d like to learn more about how we can design your IKEA kitchen, bath and closet, visit us at https://inspiredkitchendesign.com. It’s the details that really pull a room together. In the kitchen, the most effective details not only improve the aesthetics of a room, they also provide better functionality. After designing hundreds of IKEA kitchens in all different styles, I’ve come up with a list of nine go-to tips for giving any kitchen that little extra something that can make a big difference in the day-to-day enjoyment of the room. While kitchens can be beautiful spaces, they must also provide work spaces for meal prep and other activities. Task lighting—lighting that is mounted underneath the cabinets—is a great way to provide concentrated light just where you need it. IKEA offers a range of under cabinet lighting options including OMLOPP, LINDSHULT, and IRSTA. To make the most of task lighting, be sure to place your light source on the forward edge of the cabinet rather than the rear. If you place the unit too close to the wall, the light will fall mostly on the backsplash rather than on the countertop where you need it. Because building codes often require quite a few electrical outlets in a kitchen (often one every four feet), you’re bound to have a lot of outlets in this room. Instead of defaulting to a basic white, black, or beige outlet, choose something that either blends with or contrasts to the color of your backsplash tile or wall. Many lighting and big-box stores carry a wide variety of outlet styles and colors, including Amazon. Another way to bring in some variety and sophistication to your IKEA kitchen design is to use different kinds of outlets. In addition to the standard wall outlet, did you know that you can also use under-cabinet plug molding strips, modular track outlets, or pop-up outlets? Just installing an outlet sideways can help you refine the look of your IKEA kitchen by allowing for a lower profile along the wall. (For instance, a sideways outlet on the wall behind a small appliance like a toaster will be completely hidden from view.) By getting a little creative with types, colors, and placement options, you can make your outlets work more beautifully in your design—and even add some useful functionality. The kitchen island is a central focus of most of of my IKEA kitchen designs. It’s where everyone in the family gets things done, from food prep and serving to homework to general socializing when you have company over. One mistake many people make is to assume that the prep sink should be placed in the center of the island. While this placement seems logical, it actually limits the available workspace on either side of the sink. Instead, consider placing the sink on one end of the island. This frees up the other two-thirds of the surface to be working space. One of the biggest challenges in any kitchen is finding a place for everything. Between appliances and cookware and all the other paraphernalia that belongs in the kitchen, even the most organized of us can be hard pressed to find adequate storage for every item. Luckily, IKEA kitchens offer a variety of specialized storage options. Take, for example, lid storage. No one wants to have to dig through a random pile of lids to find the one they need. Instead, you can use a simple organizing accessory such as IKEA’s VARIERA lid organizer. Another common cause of kitchen clutter is charging various devices—phones, speakers, tablets, etc.. You can eliminate the unsightly tangles of cords on your kitchen counter by using a compact charging station or by creating a hidden charging station by installing an electrical outlet inside a drawer. Appliances are a necessary element of any IKEA kitchen, but that doesn’t mean they have to be the focal point. For larger appliances, such as refrigerators and dishwashers, adding coordinating paneling can create a clean, continuous look. For smaller appliances, you can create an IKEA kitchen “appliance garage” that will not only keep things like your microwave and toaster out of sight, but also free up valuable counter space. If your IKEA kitchen design includes a chimney hood over the stovetop, make sure you leave at least two to three inches of open space between the hood and the wall cabinets on either side. This placement detail serves two purposes. First, it ensures that the hood doesn’t look cramped or crowded. Second, the additional space will help the exposed sides of the cabinets stay cleaner for a longer period of time. Floating shelves are a big trend in IKEA kitchens right now, which is unsurprising based on all the design options they offer. One key tip I always use with my clients, however, is to place floating shelves a good distance away from anything that throws off steam or grease. If you put this kind of open shelving too close to the stovetop, for instance, the shelving and objects on the shelf can quickly build up an unpleasant film that’s difficult to clean. The same rule applies to glass-front cabinetry, which also gets dirty more quickly and easily than traditional cabinets. Even as you’re working out all these special little touches, remember to also think about the bigger picture. Every IKEA kitchen has its own flow, and you create that flow by planning out how each area will be used and making sure that you have positioned everything (appliances, storage, etc.) to best serve the needs of each “zone.” For instance, if your design includes both a prep sink and a cleanup sink, you definitely want those in separate spaces. Most likely, the prep sink will go in the island while the cleanup sink might be placed in an out-of-the-way spot. Each detail of your IKEA kitchen design matters. After all, for most people, it’s the most-used room in the house. It’s where you grab your coffee in the morning, prepare your dinner in the evening, and—usually—where all your friends and family congregate when you get together. AS professional IKEA kitchen designers, we’ve had the pleasure of creating aesthetically beautiful and highly functional designs for hundreds of client homes. No two are ever alike, but each one is perfectly suited to the needs of the people who use it. 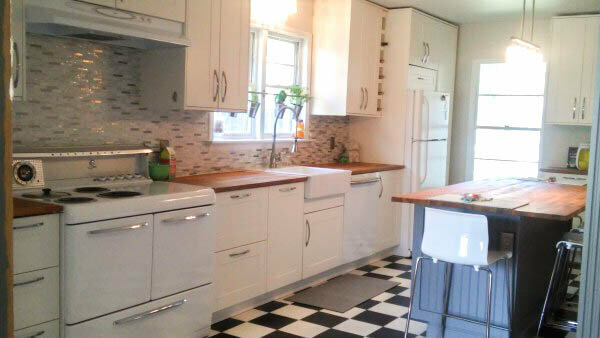 Ask IKD customer Terri, and she’ll tell you her IKEA kitchen has stood the test of time. Remodeled just over three years ago, the original kitchen layout had space restrictions, which greatly limited how extensively the space could be redesigned. “The original space was long and narrow with doors and windows on each end, so I was really limited to where I could put cabinets,” Terri explains. So not only did the space need to be smartly laid out and stylish, but durable as well.She offers: “I cook almost every night for dinner as well as make home-made pastries which requires a lot of space.” To accomplish this, Terri relied on design guidance from IKD’s design staff and selected IKEA SEKTION cabinetry framework, white IKEA GRIMSLOV upper cabinetry doors and IKEA MAXIMERA drawers for additional storage.The MAXIMERA drawers allowed her to include extra drawers without adding floor space. These products were complemented by a vintage, white 1950s Kelvinator oven, a large center island, a farmhouse-style sink and IKEA HAMMARP oak countertops.“IKEA has such great storage options from drawers within drawers, pullout trash bins and inserts. Everything together makes for a smooth working kitchen,” she concludes. According to Terri, the kitchen has exceeded many of her initial design wishes. “Everything works perfectly together. The IKEA HAMMARP oak countertops are holding up so well and the sink is a dream. I was initially worried I would miss my double sink and that is a big no!” she says. “I’m really surprised how much I like my sink and how well everything is holding up.” She continues: “I’m also surprised at how much of a difference the lower MAXIMERA drawers make with this design. The ease of getting pots and pans out is amazing and the soft-close doors with MAXIMERA are so nice to have.” And with any good design, the whole is greater than the sum of its parts. Particularly, she notes what a crucial role the center island plays in the overall design, providing seating and additional counterspace (also featuring the HAMMARP oak countertops). “The large island is perfect for my prep work and cooking, but also as a gathering space when my family gets home and chats at the end of the day,” she says. She also needed storage without expanding the footprint of the layout. So, the IKD design team suggested the SEKTION framework for a drawer-within-drawer concept inside the island. This supports Terri’s most common cooking tasks and provides storage for plates, bowls, utensils and napkins – while freeing up additional space underneath the microwave for cookbook storage. A smaller MAXIMERA drawer with an IKEA VARIERA silverware tray and plate holder were also included to keep all of her serving items organized as well. To punch up the style of the island, Terri opted to wrap the island panel sides in beadboard and paint it charcoal grey. Likewise, she chose IKEA KANSLI door handles for the IKEA GRIMSLOV cabinetry, which seamlessly match the handles on the Kelvinator oven. The kitchen features other custom and clever applications as well. For instance, a discreet wine rack located to the left of the refrigerator was created from leftover panel scraps to fill out the space. Likewise, what appears to be a drawer above the refrigerator is actually a drawer front attached with magnets, which when popped out reveals additional storage for serving trays. A small MAXIMERA drawer was incorporated right above the IKEA FILUR garbage bin to store garbage bags for easy access. And lastly, a small coffee station was incorporated on the opposite wall of the kitchen with the drawer underneath featuring high-gloss white VARIERA boxes to store coffee. For Terri, it is the little extras that made a big difference in her kitchen. “I suggest getting the extras that you like, the under cabinet lighting, the tray inserts, the drawer within drawers. Or include custom items like wine racks, hidden shelves or even – like we did – inserting the wireless charger from IKEA into the island. We absolutely love that feature.” she says. More than any other room in the house, your IKEA kitchen has the challenging job of blending design and function to create a space that is both aesthetically pleasing and practical. As the “heart of the home,” your IKEA kitchen must serve many purposes from food prep to homework station to social hub during gatherings. To meet all these demands, an IKEA kitchen design not only has to include many diverse elements, it must ensure those elements are tailored to match your lifestyle. Luckily, the designers at Inspired Kitchen Design have a lot of options. While it’s still true that most kitchen designs tend to include mainly traditional wall cabinets, there has been a growing trend to use open or “floating” shelves instead of or in combination with more conventional closed cabinets. In some cases, incorporating floating shelves into an IKEA kitchen design is purely a matter of personal taste. In others, it’s a budgetary consideration (floating shelves are substantially less expensive than closed cabinets). No matter what drives you to consider floating shelves, there are many options available. The challenge with this design approach is that IKEA doesn’t sell floating shelves specifically for the kitchen. Their Lack collection, for instance, is more for the living or bedroom and can’t be cut to create custom sizes. There’s also the Ekby, but because it’s only 7” deep it doesn’t align with most cabinets. Given these limitations, we use a variety of floating shelves from other companies (Wayfair, Amazon and Home Depot) to create unique IKEA kitchens for our clients. We also use the metal shelves from the Grundtal series when we look to achieve a more industrial look. 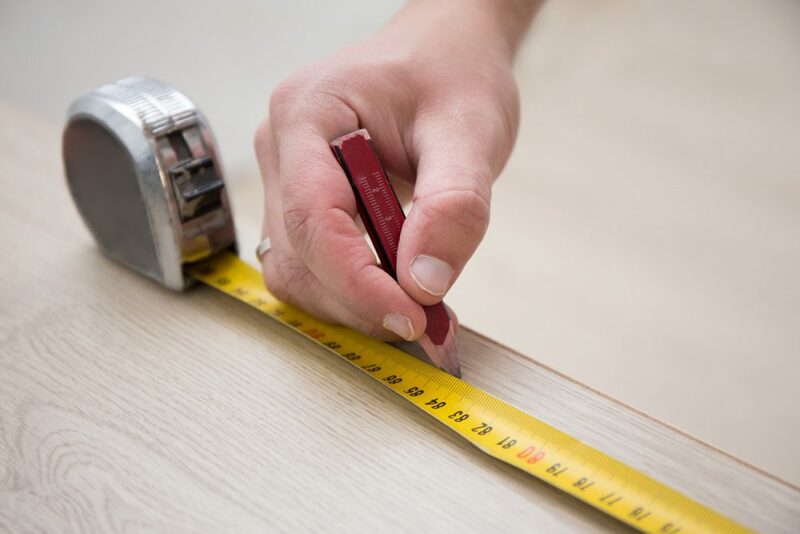 Finally, for our DIY-type clients, we are happy to share information about making your own floating shelves, such as this piece on House One. Should you use floating shelves or stick with wall cabinets? 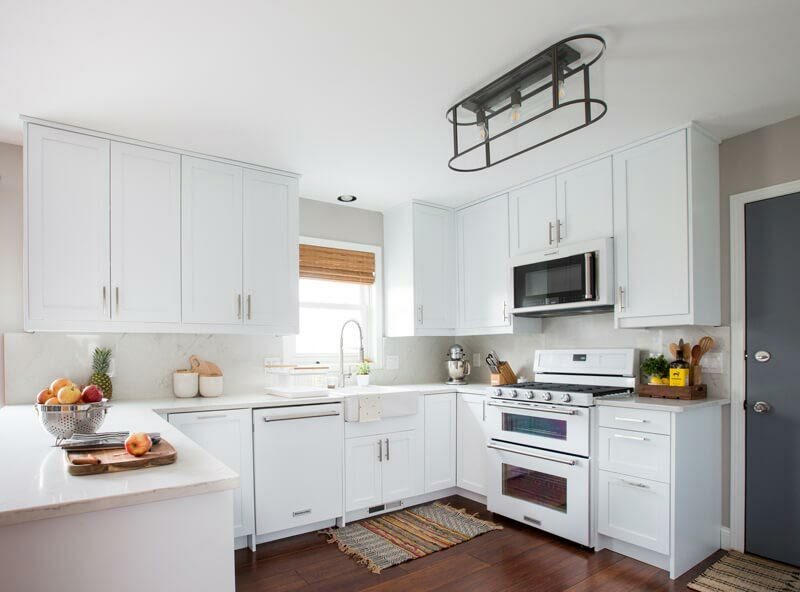 If you are considering an IKEA kitchen design that uses floating shelves—either to replace wall cabinets or to accent them—there are a few things you may want to consider before making your final decision. Here are our top pros and cons to both approaches based on our work with hundreds of IKEA kitchen clients. Saves you money. One of our customers most frequently cited reasons for considering floating shelves is to reduce their budget. Floating shelves are usually quite a bit less expensive than wall cabinets, which can help you to either keep costs in check overall or give you the leeway to spend more on other projects. Open up a small space. Floating shelves are particularly advantageous for small kitchens that tend to feel cramped or dark if they are overstuffed with conventional wall cabinets. By opening up space, floating shelves make a small room look and feel bigger, brighter, and more open. One of our design tricks that can be especially effective in making the most of small spaces is to use floating shelves in awkward spaces (such as around windows) that would otherwise go unused. Using floating shelves can also add height to a room while allowing you to make the most of every nook and cranny. Increase accessibility and convenience. Floating shelves literally put everything you need at your fingertips. With no cabinet doors in the way, it’s easier to grab your cookware and dinnerware, creating a smooth workflow for food prep and entertaining. 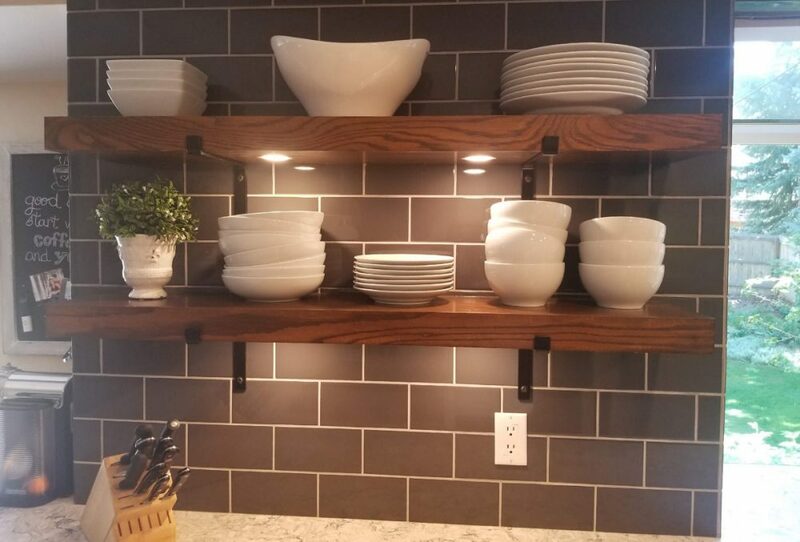 Speaking of entertaining, we also see how floating shelves make it easier for guests to find what they need, since they can see everything right out in the open. Gives you a chance to put your personal style on display. Finally, floating shelves are often just a design preference. They not only help create a distinctive look, they also give you the opportunity to display favorite items and tell your story. Floating shelves aren’t just for dinnerware, cookware, and food items. Get creative by using them to showcase photos and artwork, treasured knick-knacks, or even your liquor collection. They also make it easy to add a splash of color, either through the items you store on them or by adding paint accents behind them. Requires neatness. While it’s lovely to have your favorite things on display, doing it in a way that’s pleasing to the eye can be a challenge if you’re not naturally neat. If you’re prone to filling any flat space with “stuff,” floating shelves might prove to be too much of a temptation for you. Create visual clutter. In addition to the issue of neatness, floating shelves—even when the items stored on them are nicely arranged—have an intrinsically different feel from the uniform and “clean” feel of wall cabinets. By their nature, floating shelves bring more texture and color into an IKEA kitchen design, which may or may not be desirable, depending on the other elements in the room. May collect dust and grease. While closed cabinets protect items from airborne dust and grease, floating shelves expose your possessions. This issue can be minimized with a little design strategy. For instance, if you primarily store frequently used items on your floating shelves, the constant use will reduce the chance of dust collecting. Likewise, it’s not recommended to use floating shelves near cooking surfaces that throw off grease and steam. Hide a multitude of clutter sins. If you aren’t the kind of person who earns gold stars for neatness, closed cabinets might be a better choice for you. This traditional approach allows you to be more relaxed about how you store items because, once you close the door, no one can see (or judge) your stacking style. Eliminate the need for dusting. Doors on cabinets also provide the benefit of eliminating dusting as a regular chore. By closing your kitchenware in, you ensure that it’s safe from airborne dust, grease, and other detritus (and that you’re safe from having to get out the feather duster). Typically provide more storage space. While there are exceptions, in most cases wall cabinets do offer greater square footage in terms of actual storage space. If you have a large collection of kitchen accoutrements, you may need more closed cabinets to house all your goods. Provide a streamlined look. If you’re after a minimalist or “clean” look, closed cabinets can help you achieve that aesthetic by providing a very uniform surface throughout your kitchen. Increase your budget. Simply put, traditional cabinetry is substantially more expensive than floating shelves. If you’re working with a small budget or just trying to keep costs down, wall cabinets may not be the best choice. Typically create a more visually heavy feel. While some kitchen spaces can handle a lot of closed cabinets, smaller rooms can suddenly feel even smaller if there are too many cabinet doors. Cabinets also tend to limit the amount of natural light, especially if they are installed close to windows. Limit flexibility and opportunities for personal accents. Wall cabinets don’t allow you to change things up. While floating shelves make it easy for you to refresh your kitchen’s look by simply rearranging items on the shelves, wall cabinets can only present the same face all the time. In addition, because they conceal all your belongings behind their doors, wall cabinets keep you from displaying any of your kitchenware, so you don’t get to enjoy it unless you’re actually using it. Whether or not you are a gourmet cook, chances are you will spend a lot of time in your IKEA kitchen. It’s where most of us begin our day, and often where we end it. But, don’t be overwhelmed by the challenge of deciding between closed wall cabinets and floating shelves. IKEA kitchen design is one place where you can actually have it both ways. Many of our innovative kitchen designs combine conventional cabinets and floating shelves options to give our clients the best of both worlds in one beautiful and highly functional space. As professional IKEA kitchen designers we’ve worked with hundreds of different kitchens and design needs. Through our design process, we know what to ask about your kitchen design goals and about which IKEA products you like. Also, there are plenty of options to modify your IKEA design so you can really personalize it to your style and needs. I believe a well-designed mudroom should look good and also provide total organization for all your outdoor stuff. After designing so many IKEA mudrooms I became curious about them. With a little research I found they were once just a stopgap to prevent mud trailing into the house on the bottom of your boots; mudrooms and boot rooms are now desirable add-ons to every modern home. A mudroom, as it is known in the US and Australia, or boot room as it is called in the UK, is the utility space between the outside and inside of your home. A messy (and possibly wet and muddy) collection of bags, coats and outdoor gear can be an eyesore and a tripping hazard. Not a great way to introduce your home to visitors. My IKD-designed mudrooms and boot rooms use IKEA products like SEKTION cabinets, RINGHULT doors and MAXIMERA drawers, so you can enjoy streamlined and welcoming storage solutions that take pride of place at your house entrance. Are you aiming for a clean, midcentury modern look to enhance your living space or do you just want practical storage? At IKD we like to provide both practicality and good looks in our designs. The following two IKD-designed mudrooms use IKEA kitchen cabinets and doors. At IKD we wanted to create a sleek and streamlined mudroom in a 180″ wide space, using a budget that came in at under $3,500. Using IKEA SEKTION cabinets and RINGHULT doors we’ve designed a compact mudroom that allows extra space for a hat and coat stand – IKEA’s KNIPPE stand is ideal at $24.99. We always aim to leave room space beyond the wall units or the wall can look too cluttered up. My design has a midcentury modern feel, perfect for style-savvy contemporary homes, and it’s practical too. RINGHULT doors are easy to keep clean and also easy on the eye. A small seating area provides a place to sit while removing muddy boots and shoes and wood-finish integral cubbies add a hint of warmth to the overall look, as well as all-important storage space. They also add display areas so if you want to emphasize the design element you can include ornaments and artefacts that give a sophisticated finish to your storage units. A picture on the opposite wall adds a personal touch to the overall design. (IKEA has a good range of wall art, like ELDEVIK, TRILLING and BILD posters). My Mudroom 1 design comes in at $3,356, which includes IKEA total price of $1,764 plus the cost of extra Items and custom units. We also wanted to design an IKEA mudroom for around $2,000. This slightly smaller design at 150″, stretches from wall to wall, and incorporates a window. 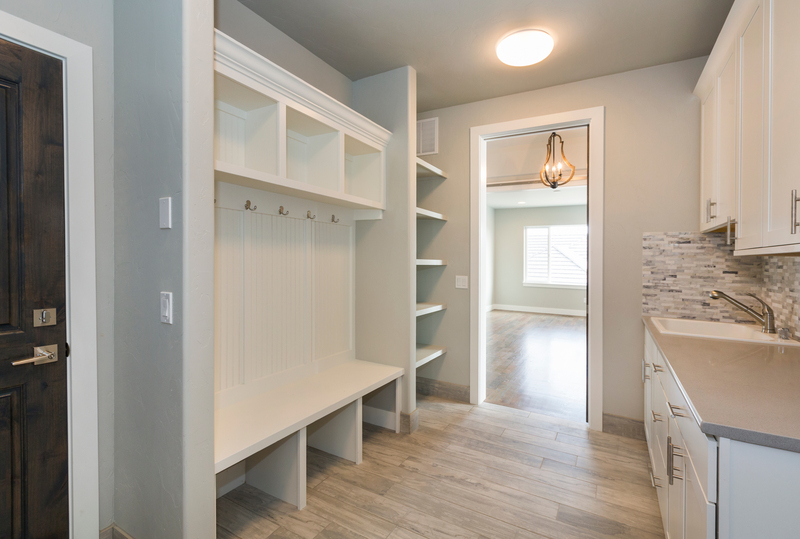 Well-designed mudrooms need to fit around your available space. There is no leftover space around the units, so an open area in the middle gives cohesion to the design: When the entire wall is taken up with units filled with your stuff, it can be too much to take in. The view through the window balances the coats, umbrellas and paraphernalia hanging on hooks to the right and items stored in the shelving unit to the left. We intended to give a warming, tranquil feel to the organization of SEKTION wall cabinets, MAXIMERA drawers and GRIMSLOV wood-finish doors. Storage boxes in the shelving cubbies (like BATTING boxes and baskets) complement the finished design, while providing extra places to put things. Adding a cushion to the middle section beneath the window could provide more comfortable seating. IKEA total price + custom units + extra items = $2,120. 1. Wipeable cupboards, cubbies, cabinetry: Essentially a mudroom/boot room needs to be clean – clean design-lines, clean room. So we make sure our mudrooms are easy to keep clean and tidy as well as easy on the eye. 2. A mixture of low-level units for boots, shoes and storage baskets as well as high-level units for hanging coats etc and for storing items that you don’t use all the time. Eye-level storage is ideal for everyday items. 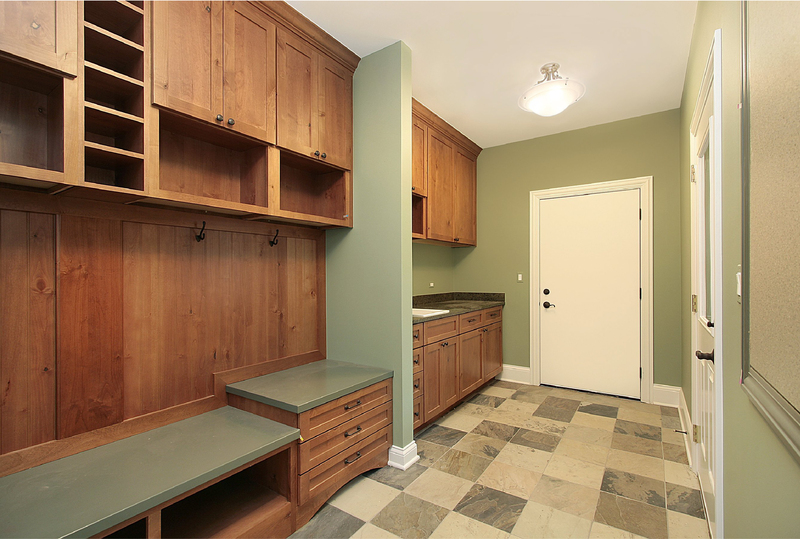 A good mudroom makes effective use of all available space. 3. Hooks and hanging space: If you like you can personalize hooks so family members have their own hanging space. Hooks give quick access and are easy to use. 4. A seating element/bench: When you need to take off outdoor shoes and boots which may be wet/muddy you need to be able to sit down. 5. Practical flooring: This area is your home’s point-of-entry from the great outdoors. Mud and dirt will be trailed inside and your flooring needs to be non-slippery, easy to clean and durable. Learn more about how we can also design your IKEA kitchen, bath and closet https://inspiredkitchendesign.com. IKD customers often complete their IKEA kitchen design using IKEA’s home planner and send it to us because they’re not sure it’s right. They want a second set of professional eyes to review it for errors — or how it can be improved. They don’t have any kitchen design experience and it’s too hard to design with IKEA’s home planner. They’ll be spending a substantial amount of money for the cabinets — and they’ll have to live with their design for the next 20 years — they’re worried. It makes sense to work with an IKEA kitchen design professional. We know what to look for. We’ve seen all kinds of mistakes — big, small and strange. If they weren’t discovered before ordering then they would have had serious problems in their kitchens. At IKD it’s our job to provide an IKEA kitchen design that is highly functional, beautiful and is adapted to your needs. We’ll start with some sink and appliance locations. Situations that look simple enough on the home planner, but would’ve caused a lifetime of hassles if they were ever implemented. It’s bad enough that you’re forced to stare at the back wall while you cook (that’s why we prefer to design stoves on islands). Now you’ll feel even more boxed-in if your range was right against the tall panel for your fridge. It doesn’t end there, your arm would bump against the panel — making cooking considerably more uncomfortable. Then there’s all the grease and gook that’ll accumulate along the fridge panel — it’ll always look dirty. What about an area next to the range for plates and utensils? Any good cook knows that plenty of space is needed around the range for the ingredients you’ll cook with and the finished dishes. Designing a drawer base cabinet between the refrigerator and range changed everything. Better light, space for everything, cleaner — and the space didn’t look so crowded. Good that we fixed this IKEA home planner design error and made life better for our customer. Soapy water and plated food don’t mix. Only 12″ of countertop between the range and the sink! But it looked OK on the home planner! We just explained how there needs to be space at the sides of the range for cookware and ingredients. How could they make the same mistake? Obviously you need space at both sides of the sink. But the 12″ of countertop is being fought over by stuff from the range. There’s also the issue of safety — water causing hot grease to splatter. There should be at least 24″ of countertop between them. We also didn’t like the look of a narrow wall cabinet dangling down between the microwave and sink wall cabinet — it just wasn’t right. We love our IKEA drawer bases here at IKD and increased the space to 24″ with a drawer base. Really would have preferred much more — or the sink in another location. But the space was small and had to work with what was available. IKEA particle board cabinets and water don’t mix. This IKEA home planner mistake applies to sinks abutting tall cabinets as well as refrigerator panels. Designing a sink directly next to a panel is awful. To start there’s the water that will splash against the panel and steadily erode it. Then it’ll drip down between the cabinets and cause further damage. Normal sink countertops have two sides — one for dirty dishes and the other for clean ones. This design error leaves you to combine both on one side. Yecchh. Then there’s all the problems that were described earlier for the range: no elbow room, poor lighting, too crowded and looks bad. There’s just nothing more to do than separate the two. It seems so obvious but while designing yourself with IKEA’s design tool, it’s hard to see. Recipe for a nasty fall. On IKEA’s home planner one sees small shapes, so it’s tricky to see the kitchen as a whole. I’m not a fan of designing sinks in islands because cooking should be the islands main activity. Guests want to sit around an island to watch you cook and nibble — not watch you wash dishes. There’s absolutely no room for anything on the side of the sink. Pretty much makes the sink kind of useless. Worse still water will splash on the floor beside it — constantly. Both dirty and a set up for someone to slip. We immediately reversed the location of the dishwasher and sink. The home planner is an interesting tool to experiment with options for your kitchen. But when it’s time for serious design of a highly functional kitchen, then design with the pros at IKD. Learn more about how we can design your IKEA kitchen, bath and closet https://inspiredkitchendesign.com. Customers often ask us if IKEA’s kitchen cabinets are as inexpensive as everyone says. They know that IKEA’s a great brand, and their cabinets are well-built — but how do they compare in price to Home Depot or Lowes? Or other brands? It’s hard to know, especially since IKEA just offers their product pricing, with no assembly or installation costs. While the other retailers include both. 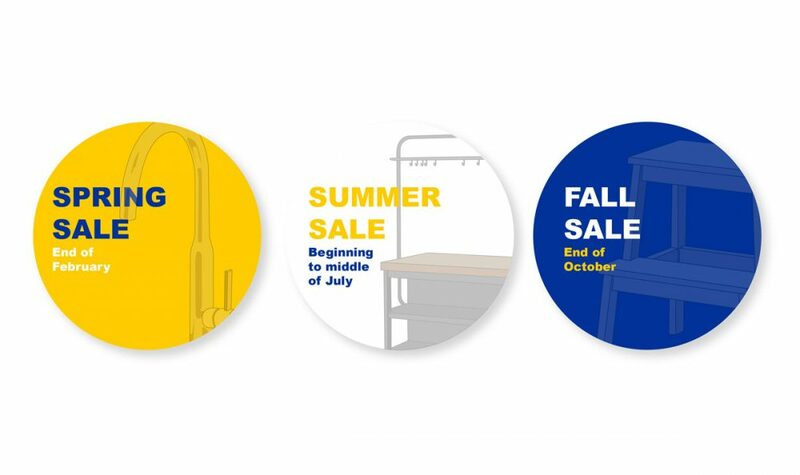 There’s very little information or references about IKEA’s complete kitchen cabinet pricing. So we’ve decided to help by showing a series of IKEA kitchens that we designed — and the actual cabinet costs. Of course all IKEA kitchens are different, but you’ll get a clear idea of the price and design ranges. countertops and subway tile — with all base drawer cabinets — was just what she wanted. We designed this kitchen for a young family in the Tampa, FL suburbs. They wanted a compact kitchen to cook — and be with their kids while they ate. The angled peninsula did just that with a view towards the food prep areas. Their kitchen was a U layout ( 155″ x “127 x 115″ ) with a 45 degree 75″peninsula. There was a lot to store and we were just able to fit in 40″ high wall cabinets within the 94” ceiling height. We designed two glass doors with OMLOPP lighting near the window for glassware. Abundant natural light worked beautifully with the recycled glass countertop; the color chips glistening differently throughout the day. They went full IKEA with the appliances — all Nutid. The tall cabinet includes a pull-out accessory. They liked how the Domsjo double bowl apron sink looked and functioned. Tile or quartz countertop wasn’t included along the backsplash because they wanted to frame the Bobdyn off-white cabinets with one of their favorite blue paint colors. We like how it offsetted the cabinets. Here’s a small condo kitchen in Santa Barbara, CA. Nothing extravagant here — just an efficient, well-lit kitchen with plenty of storage.Two design points were very important for this customer: that the oven was designed below the cook top and the refrigerator was built-in. OK, one more — she wanted a separate cooking area. The small peninsula was where most meals were eaten. She didn’t want false doors along the back because they’re too much work to clean. Ceasarstone white countertop and BODBYN off-white doors kept it all nice and tidy. Appliances include an ELDIG cooktop, LUFTIG range hood, NUTID oven and refrigerator and BETRODD dishwasher The sink’s a NORRSJON with a ALESKAR faucet. It’s amazing how little IKEA kitchen cabinets cost. Our IKEA design team enjoys creating beautiful and functional IKEA designs — that are affordable. Maybe you can’t, or don’t have the time, to visit an IKEA. You’d prefer to get your IKEA kitchen design online. In just four days. And work with our professional kitchen designers. We provide a simple online path to design, purchase and install your IKEA kitchen. As professional IKEA kitchen designers we know that cabinet lighting must be planned while designing a kitchen — never as an afterthought. IKEA’s cabinet lighting systems aren’t as complicated as they seem. Most folks just don’t understand electrical jargon and IKEA’s product names. In Part 2 of this series we’ll explain a few basics that will help you understand how IKEA’s cabinet lighting works for your kitchen. We work with IKEA kitchen designs day in and day out. And never really took the time to translate the Swedish product names. I’ll also give a simple description of what each component does in order to make IKEA’s cabinet lighting systems more approachable. Let’s begin with the Utrusta system. Utrusta means “to equip or fit”. The first component of the lighting sequence. Home wiring is connected directly to it. Only 15″ long and connects directly to the next worktop light. It’s unique to Utrusta, the only one with electrical outlets. It’s 8″ long and includes two outlets and a USB port for phone charging. Use this to turn the corner of the lighting sequence beneath your wall cabinets. Each side plugs in to other worktop lighting segments. 8″ long. Use this cord to join the lighting sequence if the corner joiner is too long or short. Or if there’s a small separation. 36″ long. 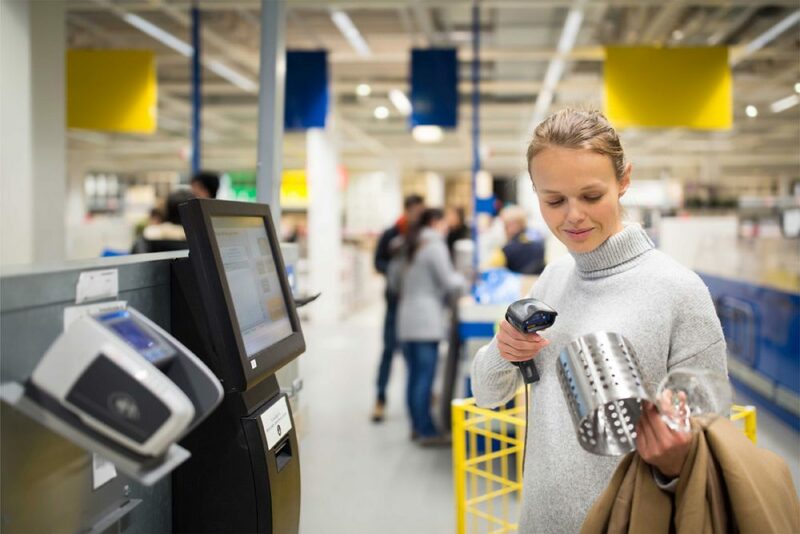 IKEA’s lighting remote control can adjust the lighting to set any sort of mood or function. Use this to control the entire lighting sequence. There’s OFF, 35% and 100%. Now on to the Omlopp system. Omlopp means circuit or track. So you’ll create a circuit track of countertop, overhead, in cabinet and drawer lighting. What makes Omlopp unique is that it uses transformers and is plugged into an ordinary outlet. Each light is connected independently to a transformer – not one another. Omlopp works best when you’d prefer to work with existing electrical outlets or don’t have that many cabinets that require lighting. them either to a transformer or a Utrustsa worktop lighting segment. Used to light the interior of wall cabinets and typically placed above glass shelving. Connect them either to a transformer or a Utrustsa worktop lighting segment. Any one of these 15″, 18″ or 24″ segments gets their power from a transformer. Distribute them along the bottom (and center) of your wall cabinets. Open your drawer and a light comes on! Works for 15″, 18″, 24″ and 36″ drawers. They’ll be powered by individually connecting each strip to a transformer. The transformer plugs in to an electrical outlet in the back of one of the cabinets. I mention that the Omlopp components must be connected to a transformer. And, of course, IKEA provides them. Appropriately so, their named: Ansluta — meaning “to connect” or “plug into”. There’s two — 10 and 30 watt. The 10W can handle three light components. The 30W can handle nine. Pretty much an 11′ cord the plugs into an electrical outlet on one end and then into the transformer on the other. Most Omlopp systems will have lots of individual lighting components. More than the capacity of the 30W transformer. This connection cord allows you to add another transformer . . and another. So there’s ports for all the lighting components. 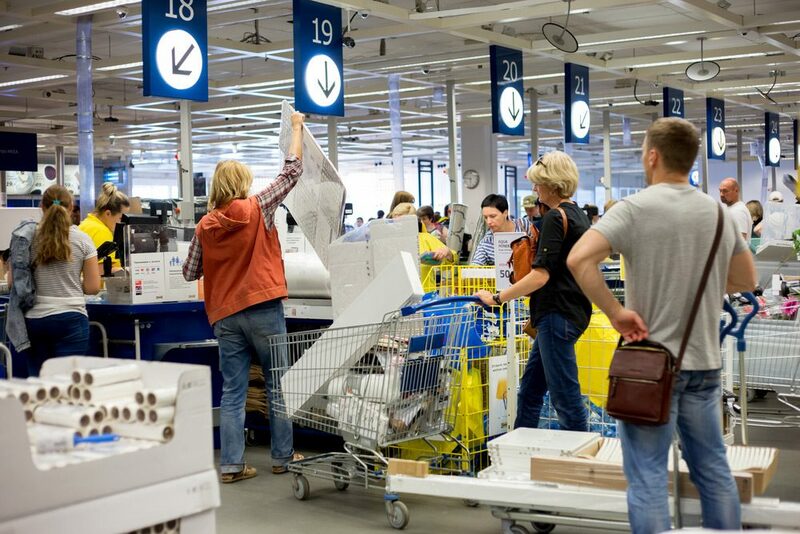 In Part 3 will explain more about IKEA’s key lighting components and their uses. Customers often ask us if IKEA’s kitchen cabinets are as inexpensive as everyone says. They know that IKEA’s a great brand, and their cabinets are well-built—but how do they compare in price to Home Depot or Lowes? Or other brands? It’s hard to know, especially since IKEA just offers the product pricing, with no assembly or installation costs. While the other brands include both. There’s very little information or references about IKEA’s complete kitchen cabinet pricing. So we’ve decided to help by showing a series of IKEA kitchens that we designed, and the actual cabinet costs. Of course all IKEA kitchens are different, but you’ll get a clear idea of the price and design ranges. The first kitchen is from an IKD customer in Pennsylvania. Her space was not large: roughly an L- shaped space, measuring 138″ x 174″. Also, her ceiling was low, only 92″, so she was working with some constraints, but she wanted a practical and warm space for her family. Our customer was inspired by the Chris loves Julia blog shown here: https://www.chrislovesjulia.com/11266 . So were we! The dark woods, light concrete countertops, and brass fixtures are some of our favorite combinations. Also, the floating shelves were a must-have. She loved the look, and it would work well with her low ceilings. She had a strict budget. So, we went to work and designed an IKEA kitchen that would not exceed $4,000. We were happy that floating shelves could be used instead of wall cabinets, but IKEA doesn’t offer them. So she bought (https://www.amazon.com/gp/product/B076KSCL19) floating shelves, and painted them the same color as her IKEA LAXARBY black/brown doors. We would have liked to design less island cabinets, and have more of an open area with a few stools. The kitchen was small, and she needed all the storage she could get, and it was the only solution for microwave placement. We all wanted to design decorative doors along the back and sides of the island, but the convenience of a new dishwasher won out. IKEA’s cabinets and LAXARBY doors cost just $3,554, and she kept the expense down by installing the kitchen herself. The second kitchen is from an IKD customer in North Carolina. This kitchen was in a beach rental home, and they wanted to modernize it. 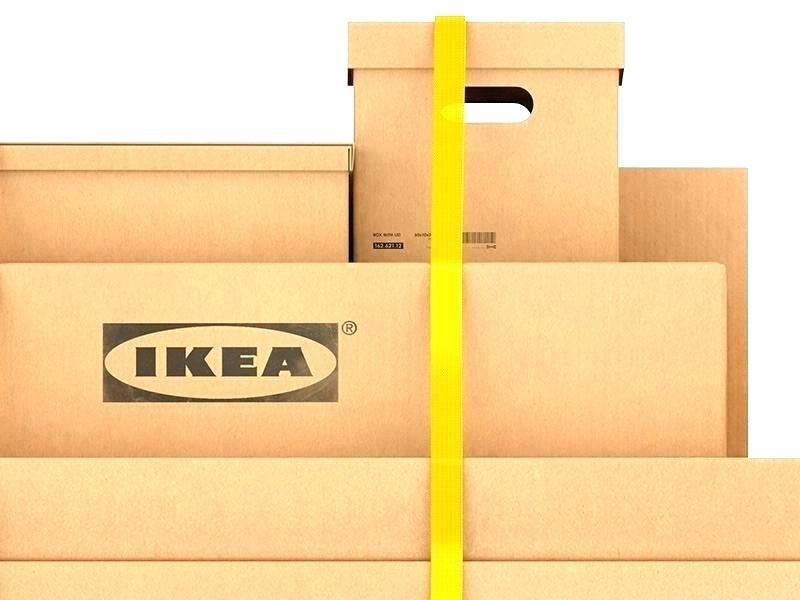 Storage wasn’t as important as a clean and functional space—a classic IKEA scenario. The kitchen is U-shaped with a peninsula measuring about 152″x 100″ x 108″ and no window. It has a high-top breakfast bar and a 96″ high ceiling. Our customer wanted a few cabinet accessories: an open vertical spice rack, large flatware drawer insert, and two-bin trash pullouts. She also wanted tall wall cabinets extending to the ceiling. She loved the kitchen shown in the Coastal Makeover: https://www.sandandsisal.com/2016/05/coastal-kitchen-makeover.html. The pastel greens/blues went very well with the décor of her coastal cottage. We decided not to design a built-in fridge, and instead put that budget into the tall wall cabinets, drawers, and KALLARP door style. To keep appliance costs down, she found some good prices on Amazon. She purchased a 36″ refrigerator with ice maker: (https://www.amazon.com/Kenmore-50043-Refrigerator-Dispenser-Stainless/dp/B076P7L97D) and a 30″ range (https://www.amazon.com/Kenmore-Freestanding-Stainless-delivery-hookup/dp/B0745N964K), and had them delivered and installed. We were able to design the SEKTION cabinets and KALLARP doors for $3,376, and there was enough budget left over to buy a few IKEA barstools! Last, but not least, the third kitchen is from an IKD customer in Chicago. Here we have a classic basement level small apartment. The project owner just wanted a clean and practical kitchen for a single tenant unit. The kitchen is U-shaped, with a peninsula, measuring about 98″ x 93″. “BOBDYN gray is a popular color, and I really like it as well”. “Let’s use it, but no glassdoors!” said the owner. The kitchen was a very visible and integral part of the apartment, so a built-in refrigerator was important. The customer wanted tall wall cabinets, but the ceiling height was only 93″. Since the apartment was relatively dark, we designed IKEA’s UTRUSTA lighting beneath the wall cabinets. We worked together to give the backsplash a little style, but we also needed to keep the price down. Since the space was so small, we selected peel and stick subway tiles: (https://www.amazon.com/Tic-Tac-Tiles-Premium-Subway/dp/B07B6V7FCY ), and incorporated an IKEA sink and faucet. An Install Connect company handled the install. The final tally for IKEA’s SEKTION cabinets and BOBDYN doors was $3,009. It’s amazing how reasonably priced IKEA kitchens can be designed, with appropriate planning. At IKD, we create a concept design after considering our customers kitchen measurements, room and cabinet style, and function requirements. Then we work together to consider the cabinet costs and get our customers the information they need to quote countertops, appliances, flooring and lighting. 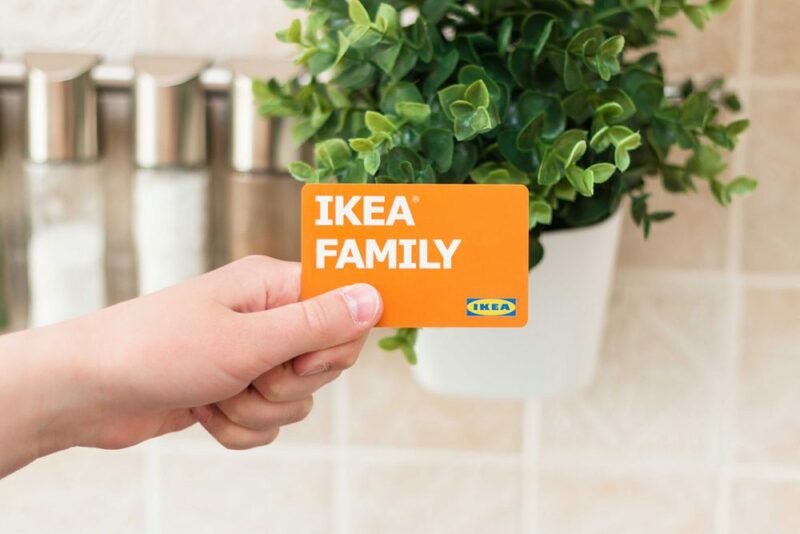 We’ll see you next time with more IKEA kitchen projects and costs!